You Will Love These Too!! 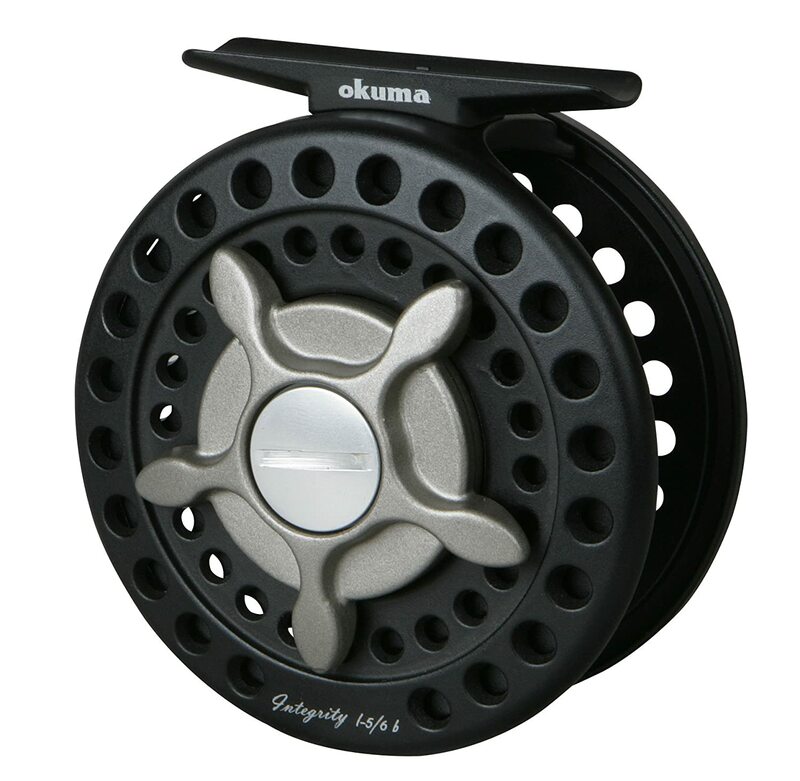 The Okuma SLV fly reel is probably one of the best reels for fly fishing in the market today. But what exactly makes it the best? Well, today, we’re going to see that. We will analyze what this reel brings to the table. In this article of Okuma SLV Fly Reel review, first, we’ll talk about the product in depth and then compare the Okuma SLV reel with some other reels from Okuma to see how they all stack up against each other. It will be fun comparing these reels to see the best one! We could dive into the review directly but you must be wondering who Okuma is? Worry not. First, we will see the history of Okuma and how the brand’s current status is. The company. Okuma, is based in Taiwan and its official full name is OKUMA FISHING TACKLE CO., LTD. The company manufactures fishing rod and reels. Apart from having fishing instruments as the main product line, the company also manufactures other sporting goods. Since it is a Chinese company, Okuma is well known to have a superb line of really affordable products. Among the many products that it manufactures, some of the most famous items are fly rods, spinning rods, fly reels, bait cast etc. The company also has a brand recognition of producing quality product despite being a Chinese company. As far as the date of the company goes, Okuma has been producing its products since 1986. The company has products that you can use in both freshwater and saltwater. The customers have received the products with open arms too. This makes the Okuma products a good buy. Okuma is now an almost international brand thanks to the advent of the internet. The company ships it’s products all around the world these days. Okuma’s SLV fly reel is one of the best purchases you can make within your budget. 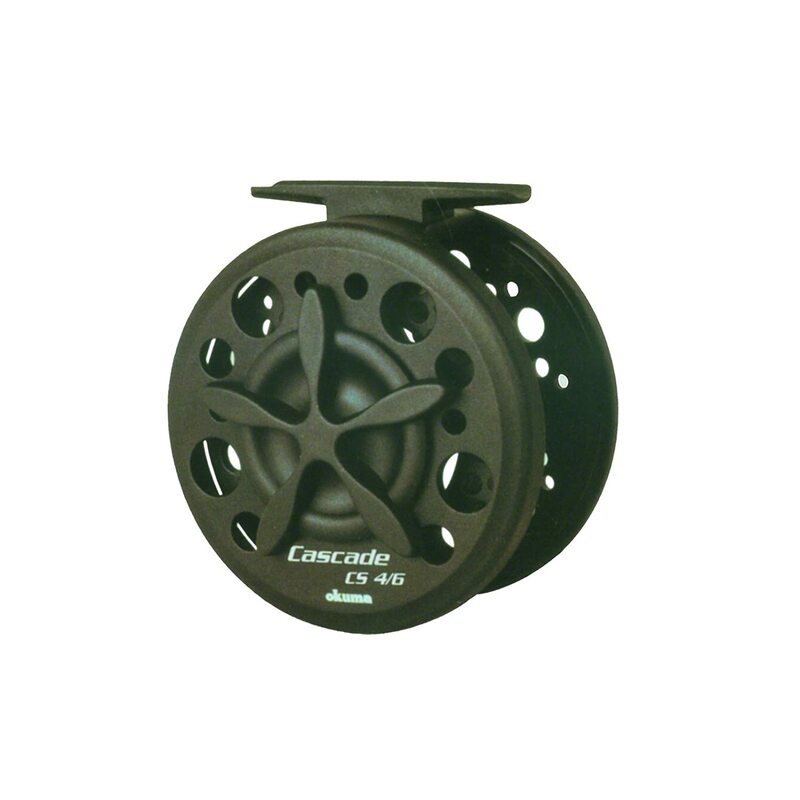 The fact that we think why this fly reel is better than most is because of its affordability and reliability. That trust mainly comes from Okuma’s brand recognition. This reel provides a really strong tackle when you are fishing. Since it has a large arbor design, you can use it to retrieve your catch really easily. As far as the build of the reel is concerned, the die-cast aluminum frame makes it really sturdy. The spool is fitted for the lines which give you good handle while you fish. We all know how fly fishing requires your fly reel to be the perfect storage for the fly line. It must have a drag system which is smooth enough so that the lines can be pulled easily when it is inside the water. The Okuma Reels do this with perfect class. When you are casting the reel, the roller bearing present here will provide a unidirectional drag. In addition, the fly reel has a rubbered grip knob implying comfortable handling. To put it bluntly, the Okuma SLV fly reel is probably one of the few reels on a budget that we genuinely recommend. If you look at the pros to cons ratio, you can see how good the reel really is. Going through the pros, in brief, we can see a smooth drag system, reliable construction, and safe storage for lines- all these things are the highlights of this reel. What more could you possibly want from a fly reel? There are literally no drawbacks to the reel. Even the company has a great reputation, even if the customer has any issue with the received products, the company is ready to replace with a new one without any delay. The Okuma Integrity B has a multi-disk cork and rubidium drag washers. A unidirectional drag system is imposed by the roller bearings which is same as the SLV fly reel. In addition, you have a fly line with the specs; WF-7, 50yds/20lbs. The device weighs significantly less at 7.5 ounces and has a line retrieve of 9 inches. The line has the weight of 7/8. The strength of the Okuma Helios lies in its drag system which doesn’t require any maintenance. In addition, the drag system is waterproof. These two features make the reel one of the best in the market right now. Just like the SLV and Integrity B, the drag is engaged in a single direction courtesy of the Roller bearing. The product has a 2BB+1RB Spool Shafts constructed from stainless steel. The Anodized Aluminum frame provides a much-needed sturdiness to the whole setup. Who needs one drag when you can have many? Well, the Okuma Cascade definitely has many! The drag system here is fully adjustable. As with the other Okuma reels in our list, this too has a unidirectional drag. The drive system in the reel is brass machined which is machined precisely. Same goes for the spool shaft. The spool shaft has stainless steel as the construction material. In addition, the actual selling point is the weight of the device. It has a super lightweight graphite build which is impressive. All of these features stack it pretty well against the likes of SLV. The Okuma Magnitude ML has a multidisk Teflon drag washer and a unidirectional drag much like the other Okuma reels. The driving system is brass machined and the spool design is again, stainless steel machined. The lightweight frame is built from magnesium making it one of the easiest reels to carry available. The reel also supports retrieval conversion from left to right hand. We cannot deny that there is a stigma towards Chinese companies, particularly in the west. This is mainly due to the notoriety of Chinese products being a bit fragile but, Okuma is one exception. You can trust the brand without any doubt. If it gains your trust then there are added benefits of a company based on China and that is you get the bargain. The Okuma reels are available at reasonable prices and you can buy any of the reels in our list. 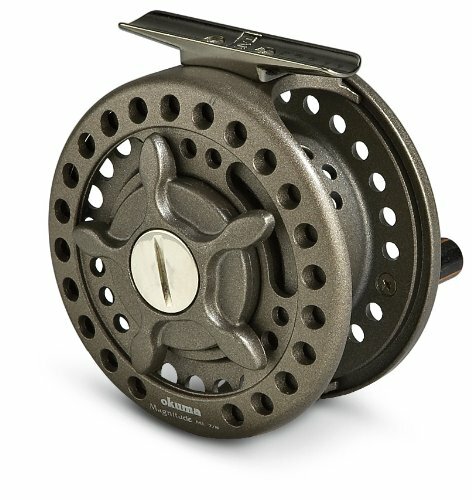 As perceived from this Okuma SLV Fly Reel review article, the SLV, in particular, is highly recommended. It is mainly because of the fact that the SLV reel has the most customers under its belt. The customer ratings and satisfaction for this very reel is literally off the charts and if you want to play it safe, we recommend you to get this reel. 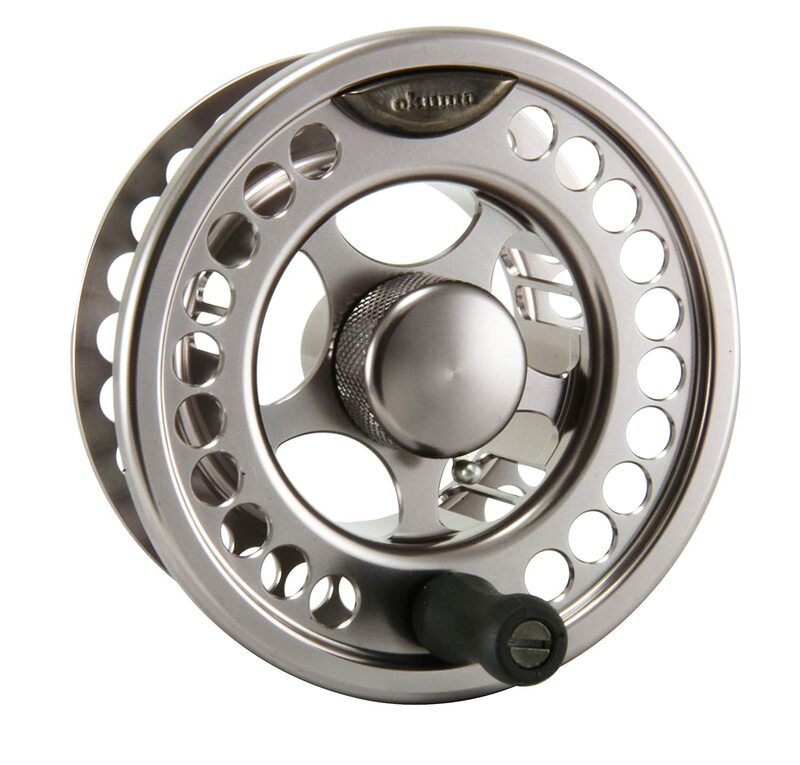 There are other reels for other scenarios though, Want a lightweight one? get the Cascade. What about the strongest and the heaviest one? You could go with Helios. Depending on what you need, you can refer to the table above and make your purchase accordingly. Tippet! How Long Should Tippet Be? How To Tie Leader To Fly Line Without Loop? Make Right Decision: Do You Know How Do Stockingfoot Waders Work? Get Proper Protection From These Best Fly Fishing Wading Boots! Fly Fishing Elite is a participant in the Amazon Services LLC Associates Program, an affiliate advertising program designed to provide a means for sites to earn advertising fees by advertising and linking to Amazon.com. *Amazon and the Amazon logo are trademarks of Amazon.com, Inc., or its affiliates. Hello! We are Zulfiqur & Nawrin, and we’re crazy about fishing. Being in the country of thousand lakes, Finland, we have been fishing different fishes whether it is summer or not. While having so much interest in it, we thought sharing different fishing equipment & tricks would be great idea. Adventure, Fishing & Traveling are our passions. Keeping this in mind, we started writing about equipment, techniques, and tips that can help you out in fishing in different conditions. As we continue blogging here, we might as well be fishing in another part of the world now.